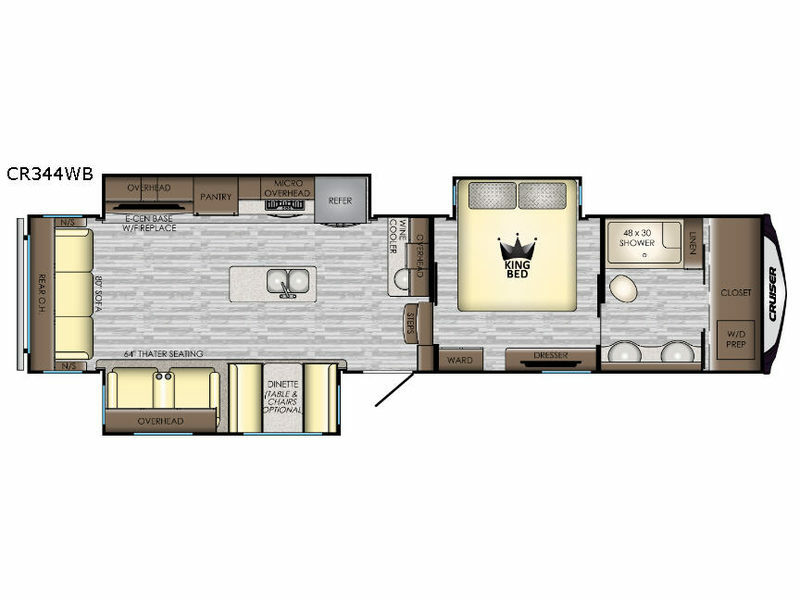 As the longest running product line at CrossRoads RV, these Cruiser fifth wheels continue to maintain the utmost in quality standards and to provide luxurious, at-home comforts in unique and innovative floor plans that have been designed to accommodate the valuable feedback received from dealers and retail owners throughout the years. No where else will you find such a complete high-profile fifth wheel in the industry that contains all of your favorite amenities in an easy-to-tow unit than with the Cruiser fifth wheel. 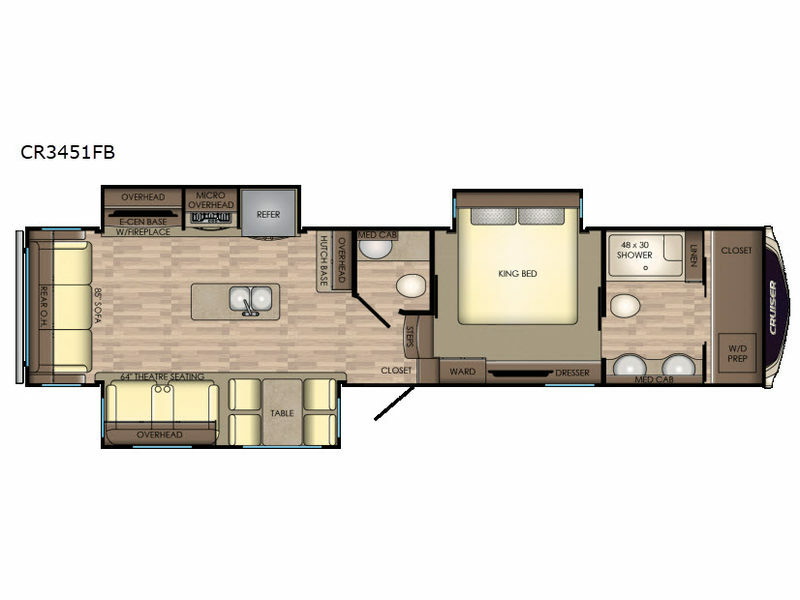 These CrossRoads Cruiser's provide you with convenient and stylish features like the stainless steel appliances, the solid surface kitchen countertops with a decorative back splash, the 70lb. 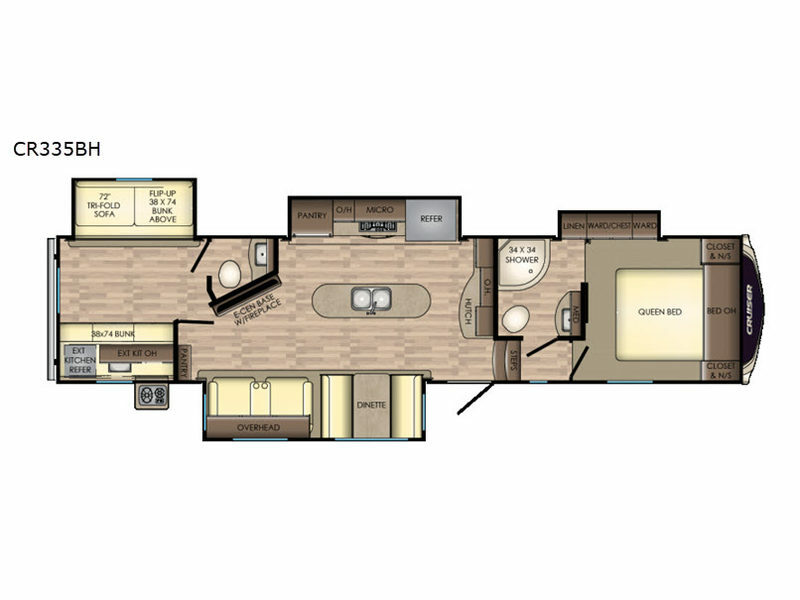 full extension steel ball bearing guides, and the bathroom skylight, plus spacious bedroom closets! Take the next step towards creating that perfect camping experience with the most luxurious high-profile fifth wheel on the market today: the CrossRoads Cruiser fifth wheel! 18 ft3 Residential Refer or 12 ft3 Gas/Elec.